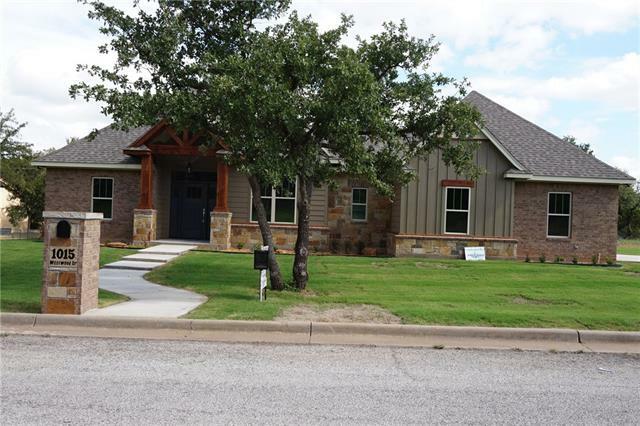 All Graham homes currently listed for sale in Graham as of 04/22/2019 are shown below. You can change the search criteria at any time by pressing the 'Change Search' button below. If you have any questions or you would like more information about any Graham homes for sale or other Graham real estate, please contact us and one of our knowledgeable Graham REALTORS® would be pleased to assist you. 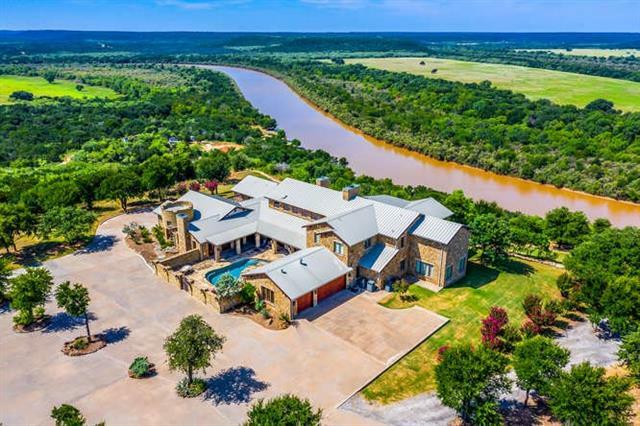 "Just outside of historic Graham, Texas in the Brazos River Valley you will find this stunning residence on 240 ac. 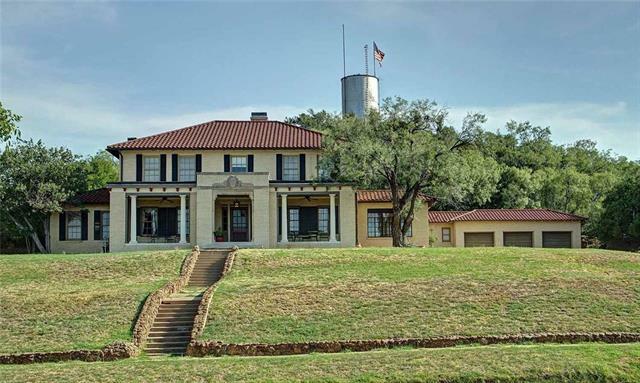 It sits on a hilltop near the apex of the Herron Bend of the Brazos and offers commanding views from every vantage point. 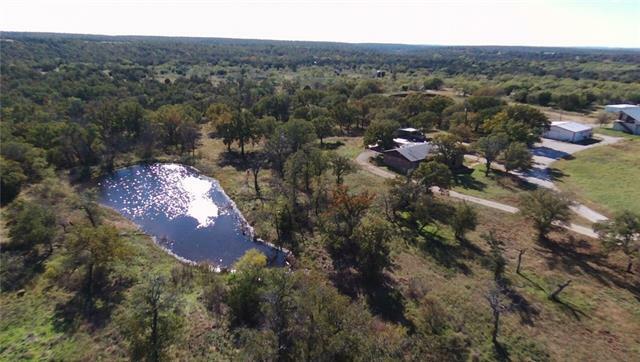 This exceptional offering includes the amenities of the neighboring guest ranch including dining, horseback riding, canoeing, fishing, sporting clays and much more. 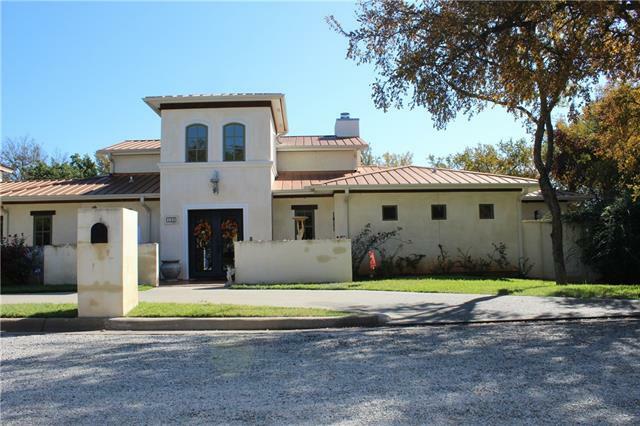 This impressive but very comfortable home has fantastic family & entertaining spaces. A gabled an"
"AUCTION! SATURDAY April 27, 2019 2PM. WWW.ALLIANCEAUCTIONEERS.COM 5% Buyers Premium. LIC# 13507. The entire 2,830 square foot, 2 story, 3 bedroom and 3 bath cabin was first constructed of 22' hand scribed Douglas Fir Pine in British Columbia. The woodwork throughout the home is hand cut cedar; all the doors in the home are also constructed of cedar. The flooring throughout the main living space is made of Italian imported porcelain tile while the upstairs walkway is a special treat as it i"
"Awesome 3-4.5-2 Mediterranean Style two-story home with stucco exterior & multiple balconies; Den with corner WBFP, vaulted ceiling, kitchen & breakfast room; Kitchen features granite, breakfast bar, island with prep sink, built-in 6-burner gas stove with griddle, pot filler, dishwasher, ice maker, warming drawer, refrigerator, double ovens and walk-in pantry; Formal dining room with a custom accent wall; Home study-office or 4th bedroom with a Murphy bed; Master bedroom with ensuite featuring a"
"WATERFRONT, West Side of Possum Kingdom Lake: Spacious Four Bedroom, Two Bath home. Priced BELOW 2018 apprasial. This home was totally remodeled in 1999. Two grand living areas with views of the lake, a 22x13 covered porch allows the outside to blend with the inside. High ceilings in the living areas, a large stone fireplace is a magnificent focal point, the spacious kitchen is perfect for entertaining with views to the lake. 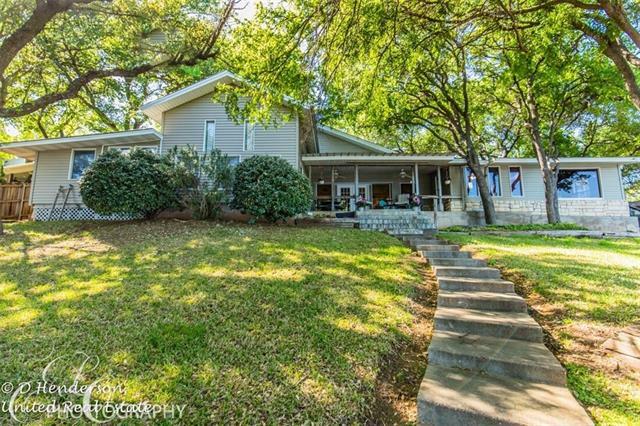 This home sits so close to the water you can hear nature and just r"
"Beautiful lake view home on 2 acres with electric gate entry. 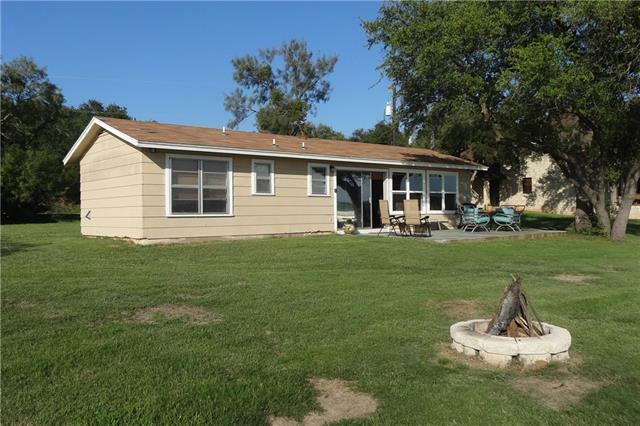 Security lights, mature trees and easy access to 2 boat ramps. Shop Pool Tiki hut Storage building Gazebo"
"5 BR,4 baths(1 full bath & three three-quarter baths)-3 car garage-built in 2015-located on .68 acres(YCAD)-Beautifully landscaped-Extremely large family room with fireplace open concept floor plan & walnut flooring-Carpet & tile throughout-Ceiling beams & fireplace mantel of Douglas Fir-Kitchen has stainless appliances(refrigerator,double ovens,microwave,5 burner cooktop & dishwasher),granite countertops & large island bar & bar stools-Granite countertops in baths-Knotty hickory cabinets except"
"Property taxes are $2198 (YCAD) - 3 bedroom 2 bath ranch home - Renovated in 2013 - Approx. 7 miles from Graham - Highway frontage entrance to log home with steel siding - Partial wrap-around porch & carved pillars - Metal roof - Open living room & dining room concept with wood burning fireplace - Corrugated metal ceilings - Kitchen with dishwasher, cookstove, microwave vent-a-hood & refrigerator - Washer & dryer convey - Total electric - Central heat and air - Pier and beam foundation - 4 cros"
"This historic residence sits halfway up Stand Pipe Mountain, overlooking the town. This gorgeous colonial home was built in 1930. The owners have done massive updates while leaving the integrity of the original home. You feel like you have entered a more genteel era when you walk in the home. The rooms are impressive in size with high ceilings, wood parquet floors, huge crown moulding and an elegant curved staircase. 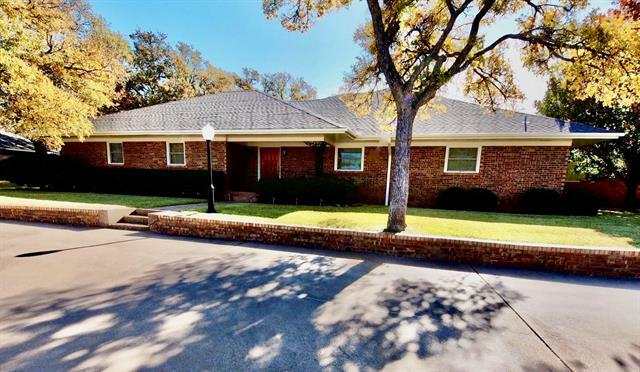 The kitchen has been completely updated with granite counter tops, stainless ap"
"Spectacular 3 bedroom, 3.5 bathroom cliff-side home on Spivey Hill. The home features custom finishes throughout along with a open floorplan, commercial grade kitchen appliances and 20-foot vaulted ceilings. Easy living and able to lock and leave." 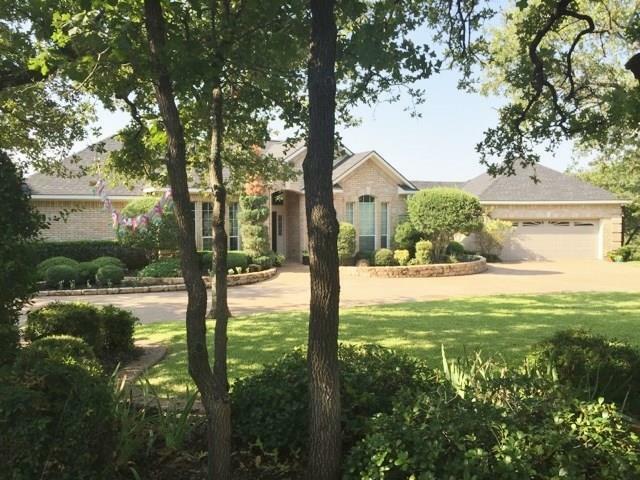 "4 bedrooms, 2.5 baths, double car garage on 3.94 acres on 25 acre Timber Ridge Lake. Completely renovated in 2014 ,brick custom home, open formal dining room kitchen breakfast den with fireplace. 10 ft ceilings throughout, complete renovated kitchen with granite counter tops, 32 square foot island with sink and work area and eating bar, wood floors, split bedrooms, master suite has complete new bath with marble flooring, free standing tub, separate shower, over sized utility room, over sized do"
"3-2-2 new construction brick home with rock accents located in a new developing neighborhood; A wide foyer leads into a spacious den with vaulted ceiling, corner rock gas fireplace & an open concept kitchen-dining area; The amazing kitchen features granite counter tops, under cabinet lighting, glass tile backsplash, island-breakfast bar, refrigerator, free-standing smooth surface stove, dishwasher, coffee bar, microwave with a lighted vent-a-hood & walk-in pantry; Master bedroom offers an adjoi"
"Spacious 3-3.5-2 custom brick home on a large wooded lot; Grand foyer, living room, dining area & kitchen open concept; Carpet in the living room, hallway & bedrooms; Wood floors in the foyer; Ceramic tile in the bathrooms, dining area, kitchen & utility room; The updated kitchen has granite, custom cabinets with quiet close drawers, smooth surface cook top with vent, built-in dishwasher, double ovens, disposal and pantry; The master bedroom offers 3 walk-in closets & an ensuite with a dual sink"
"Breath taking 3 bedroom 2 bath immaculate home located in a well maintained quite neighborhood minutes from downtown. Kitchen has high-end granite counter tops, custom cabinets, oven with warmer drawer, conventional oven and MORE. Open concept living room with vaulted ceiling and beautiful rock wood burning fire place. Floor plan encompasses spacious bedrooms with plenty of storage. MUST SEE MASTER BATHROOM! Stand alone glass shower with 3 shower heads, jetted tub, uniquely designed double sink"
"Impressive property in close proximity to Possum Kingdom Lake and just south of Graham city limits and Brazos River; Two private residences situated on 7.68 acres m-l with beautiful trees, private gravel road and plenty of open land for horses or ATV fun; The 2018 DW Solitaire MH is the star of the show with 2,624 sq ft of open concept living, 2 living areas, 3 bedrooms, 3 full baths, CH-A, split BR arrangement, SS kitchen appliances (convey), & 2 large decks; The SW MH offers 3 bedrooms, 2 bath"
"Lovely older Victorian home. 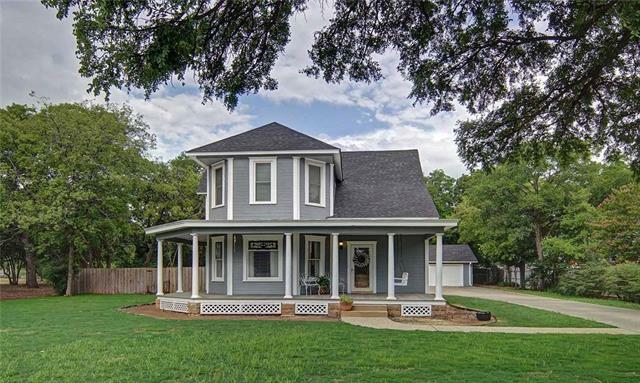 The exterior is warm and inviting with a wrap-around front porch complete with swing. You enter the house through an antique front door and walk into a beautiful over-sized foyer with staircase leading upstairs. 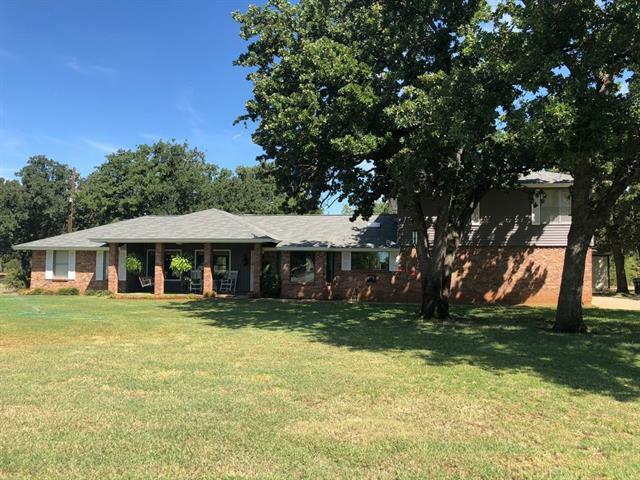 The house has an updated kitchen that is open to a huge family room, complete with fireplace and French doors looking out at the gorgeous backyard. All the rooms are large with 3 bedrooms upstairs and master suite downstairs. The master opens to the study wh"
"This lovely well maintained brick home has three bedrooms and two full bathrooms with split bedroom arrangement Master bedroom looks out to the lake with an outside door leading to a patio and also a step down rock patio under beautiful large oak trees including lights for evening entertaining With the flip of a switch a water feature streams down towards the lake The sun room, dining room and kitchen all look out to the lake The sprinkler system takes care of the entire lawn using lake water T"
"4-3-2cc brick home in desirable neighborhood; Could be 5 bedrooms or 2 master suites; Den has a WBFP with a heat-a-lator & built-in cabinets; Breakfast nook with a bay window seat; The galley kitchen features ceramic tile counter tops, free-standing smooth surface stove, microwave with lighted vent-a-hood, dishwasher, disposal & pantry; Split bedrooms; Crown molding, ceiling fans & window treatments throughout; Master suite has a door that exits to the patio, a pedestal sink, claw-foot tub, step"
"Immaculate brick Arts and Crafts style home with separate guest house and large shop is move in ready! 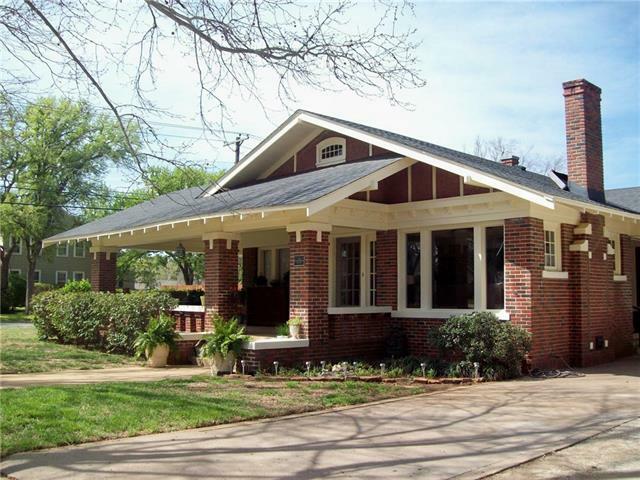 Lovely historic large crown moldings, complete new paint inside and out,hardwood floors, white & grey kitchen with stainless 6 burner range & specialty granite, extra large master suite, spa bubble tub, granite shower, rimless shower. 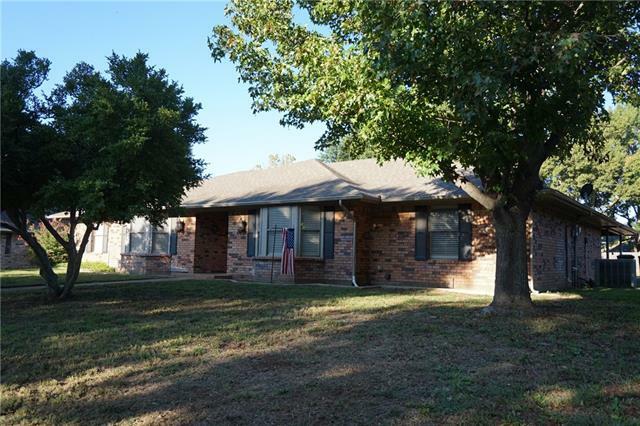 Sprinkler system, privacy fence,large wrap around front porch, new roof 2010, new HVAC 2014." "COUNTRY LIVING just minutes from town. Brick 2 bedroom home with Jack and Jill bathroom. Open living room and dining room. Nice bright sunroom. 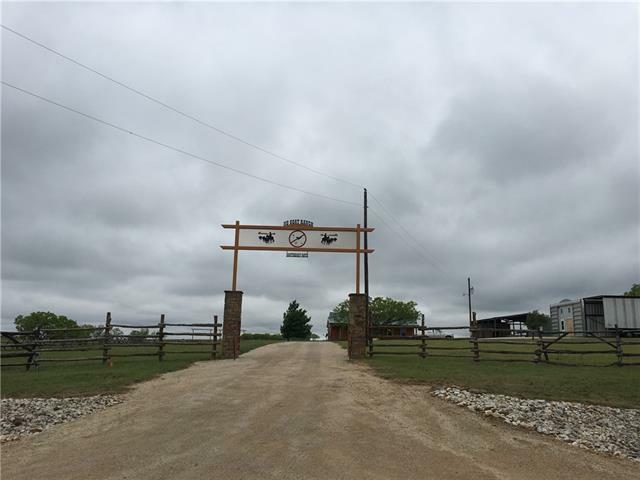 Home, barn, unique storage container set up and large arena sits on 14.758 acres with small coastal field. Barn contains 4 stalls (12X12) 2 runs on south side of barn with hay storage in the barn and 2 bay roll up doors. Wash rack just outside on east end. Unique storage container set up consists of 2 (16X8) and 1 (40X8) on bottom with another 40X8 s"
"Beautiful two (2) bedroom, two (2) bathroom, two (2) car detached carport, rock and metal lake home situated on an impressive lake lot; Lots of remodeling has been completed and some is in progress; Gorgeous hardwood floors in the entry, dining area & front bedroom; 18' Travertine tile in the kitchen, living area and master bath; Ceramic tile in the guest bath, master bedroom and utility room; Granite surfaces in the kitchen and both baths; Split bedroom arrangement; CH-A throughout with additio"
"If you are looking for country living, This 10 acre homestead could be the one. 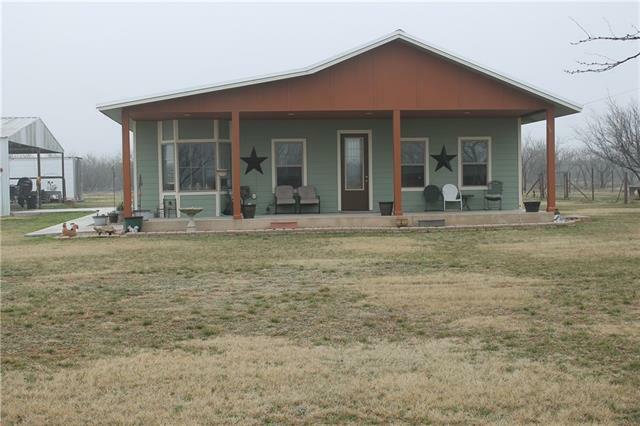 There is a beautiful covered front porch that leads into your 3 bedroom, 2 bathroom home. I has an open concept that keeps the family together and has a custom bead board ceiling in your living room and kitchen. You are only a half mile from a boat ramp on Lake Graham. So pack the family up and move to your own slice of heaven. 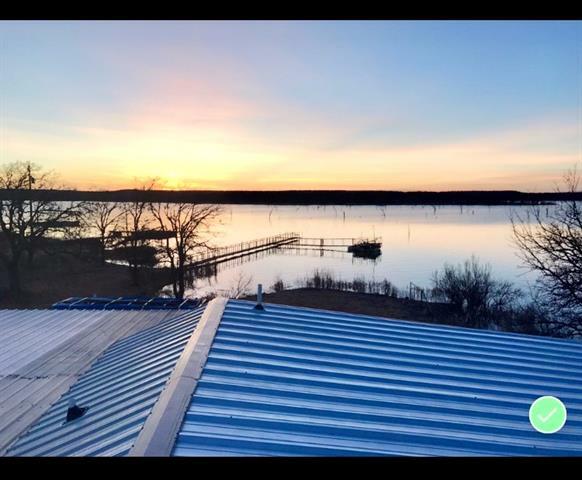 Please note that the master shower has not been completed and needs tile"
"Lakefront property, recently renovated cottage right on Possum Kingdom Lake with plenty of land to expand. Relax on the spacious comfortable patio lakeside and watch the fish jump and a large variety of wildlife stroll by. Don't have time for a full time lakehouse? No worries, this home is set up to be a perfect vacation rental with great investment opportunities. Use it when you want and make money the rest of the year!" "Country living with city convenience! 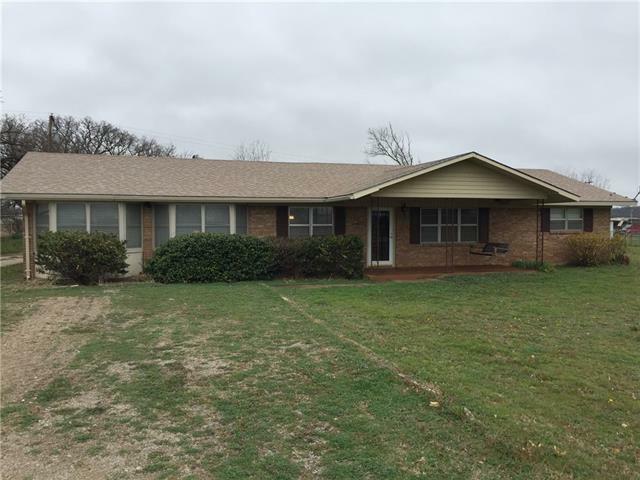 Less than 10 minutes from downtown Graham, this three bedroom, two bath home sits on 2.1 acres outside the city limits. It features a large family den adjacent to the dining kitchen combo, a spacey utility room, three nice size bedrooms, and a formal living room. The detached double car garage with remote controlled opening is large enough for a nice workshop. There is an additional storage building and a barn. 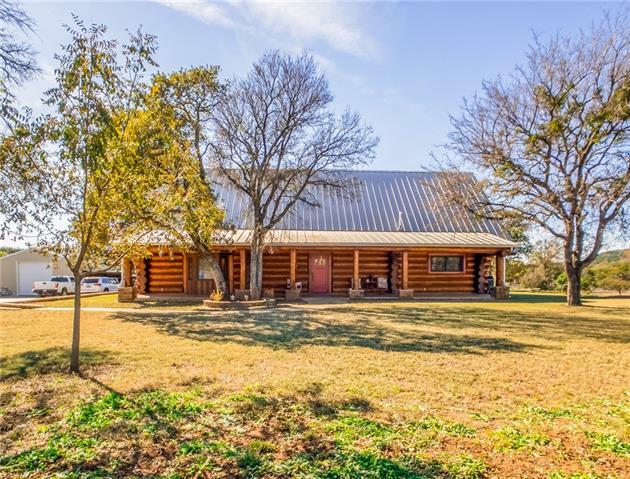 A working water well produces plenty of wa"
"Beautiful spacious custom home is located just outside the city limits of Graham in the peaceful subdivision of East Park. 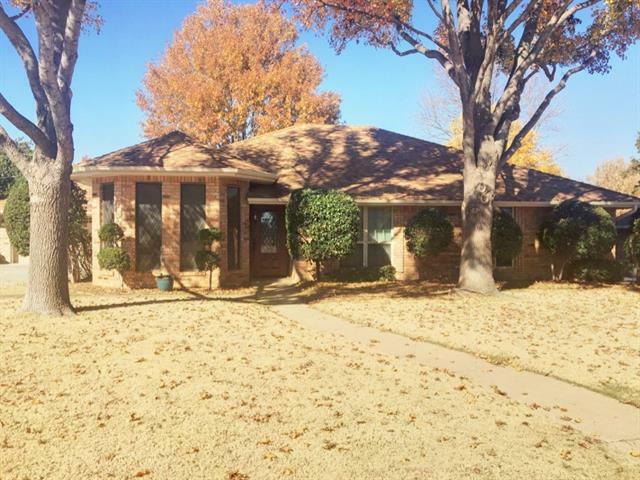 This Three bedroom Two full bath home boasts; wood burning fireplace, updated kitchen and baths, plus neutral paint colors. Large windows provide natural light throughout the home. The updated kitchen has all the right design touches that gives it the wow when you walk in, including plenty of counter space! 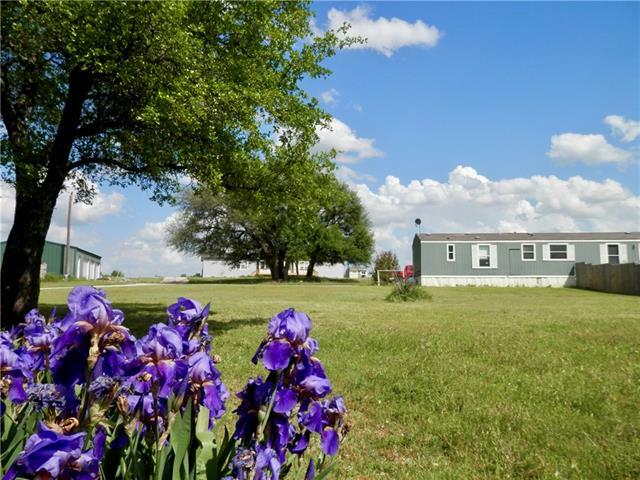 This property has a storm shelter, extra carport, out buildings at"